Shirley Marie (Cook) Ritterhouse, 80, of Parker, Colorado peacefully passed away on Friday, April 12, 2019 at Sky Ridge Medical Center. She was born on December 1, 1938 in Seiling, Oklahoma. 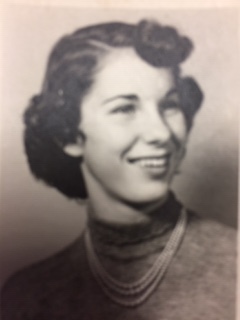 Shirley went to school in Seiling and graduated from Seiling, High School where she enjoyed playing basketball and softball. She was a member of the Seiling Methodist Church and she was an amazing seamstress. She enjoyed gardening and time at the beach. Shirley married Keith Ritterhouse, a young farmboy from the Richmond Community, and they moved to Oklahoma City until August of 1956. With only $120.00 in his pocket, they headed to California in a 1941 Ford with a small baby girl. They stayed with Keith's older brother for two weeks until he went to work for an elevator company for the next 44 years. 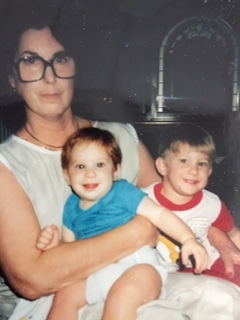 Keith and Shirley brought three children into this world: Dana Jeanette (deceased), Keith Ritterhouse, Jr. and Tressa Ann Ritterhouse. They lived in Temple City, California where they purchased a home in the 1960's. The children attended public schools, and Shirley was involved as a troop leader for a girl scout troop. In 1978, Keith and Shirley moved to Parker, Colorado to set up home. Shirley went to work for May D & F in the cosmetic department. She dearly loved her work there. In the late 1980's, Shirley lost both of her legs due to poor circulation, but that didn't stop her from getting around. She was able to drive until approximately 5 years ago. She then became home bound and spent time together with Keith, her husband of 63 years!! Life has been good for Shirley and Keith! Shirley was predeceased by her parents Clyde and Wilma Cook, a sister, Carol and one brother Leland. She is survived by two of her children and one brother, Donnie of Texas. Celebration of Life Service for Shirley will be on Friday, April 19th, 2019 at Parker Funeral Home at 3:00pm. Family requests NO flowers at this time.